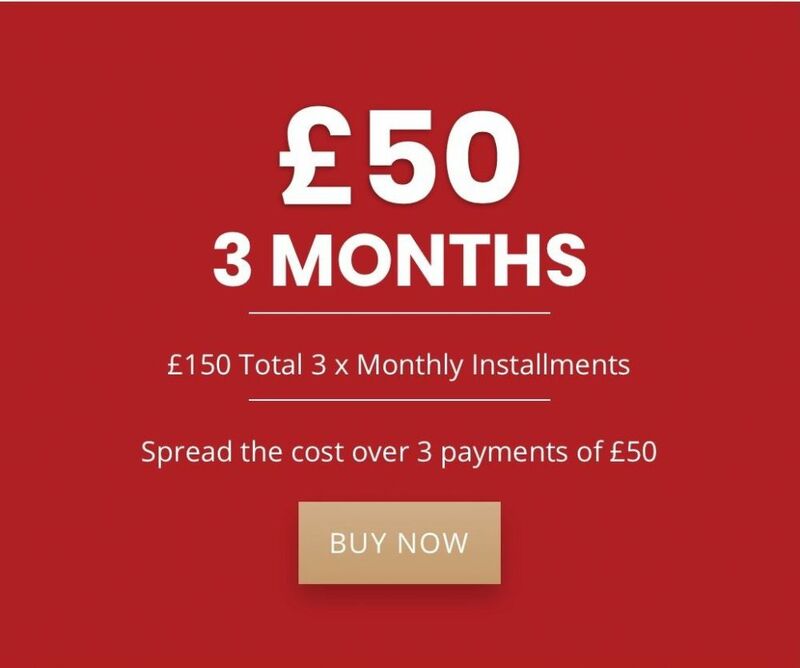 3x monthly payments of £50. First payment due upfront the remaining 2 payments are collected via direct debit. In paying for the first month you are agreeing to the payment of £150 in total.